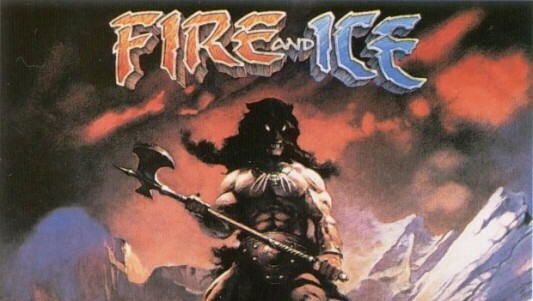 The live-action remake of the 1983 animated fantasy-adventure Fire & Ice that filmmaker Robert Rodriguez has been developing for years has finally found a home at Sony Pictures, according to Mike Fleming Jr. at Deadline. Rodriguez will direct the film based upon his own screenplay and the production company Bold Films, which in the past has brought us such features as Drive and Nightcrawler, will take an important role behind the scenes. 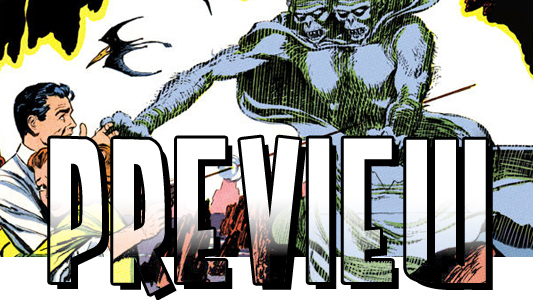 Forbidden Worlds, the bizarre fantasy anthology comic series that ran for 145 issues from July/August 1951 to August 1967, and corralled some of Comicdom’s most celebrated visualists of the strange and unusual, is returning in a mighty big way. 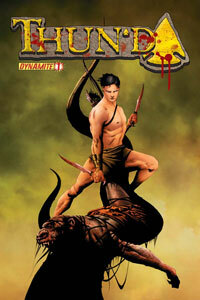 Next month Dark Horse Comics will release Forbidden Worlds Archives Vol. 1, a hardcover collection of the first four pre-Comics Code issues of the series. You can check out a 7-page story from the inaugural volume, “The Doom of the Moonlings” with artwork by George Wilhelms, here below. I know I’m not alone when I say that the late Frank Frazetta will forever be the greatest fantasy artist who ever lived. His illustrations gave new life to marginalized icons of pulp fiction like Conan the Barbarian and John Carter of Mars and inspired countless writers, artists, and filmmakers. 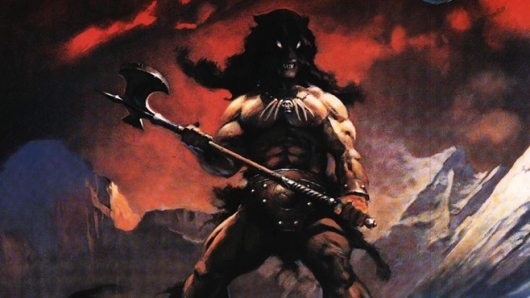 Frazetta’s artwork stands out from the rest of the pack for its merging of grungy realism and fantastic visuals; his iconic drawings and paintings depicting brawny warriors and chesty maidens battling horrific mutants and monsters made him a legend in the realm of genre storytelling. 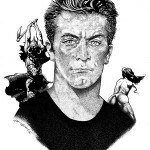 When Frank Frazetta died of a stroke more than two years ago his passing left a great hole in the hearts of geeks the world over, but he left behind a legacy of awe-inspiring visions of the fantastic and the frightening that will continue to influence generations of imaginative storytellers until the end of time. Yeah, Frazetta was that damn good an artist. 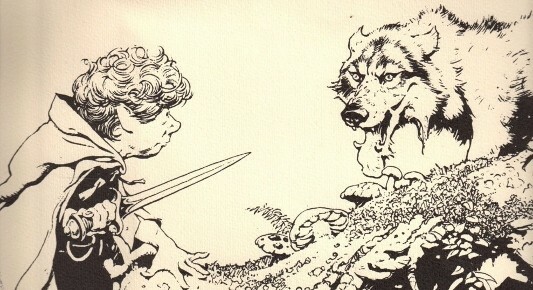 Frazetta composed a set of seven illustrations inspired by J.R.R. Tolkien‘s Lord of the Rings trilogy. These drawings offer an unique perspective of a beloved fantasy classic from a legendary artist you wouldn’t typically associate with hobbits and wizards. 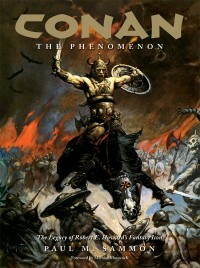 You can check out Frazetta’s artwork here below. In less than two months Disney will premiere John Carter, the long-gestating adaptation of Edgar Rice Burroughs‘ classic 1912 sci-fi adventure A Princess of Mars that introduced readers to Captain John Carter and his spectacular adventures on the planet Barsoom (which we all refer to as Mars). When the Andrew Stanton-directed movie finally opens it will be the culmination of more than eight decades of failed efforts on the part of filmmakers such as John McTiernan (Die Hard, Predator), Robert Rodriguez (Desperado, Sin City), Jon Favreau (Iron Man), and even famed stop motion animation wizard Ray Harryhausen. Back in 2004, when the project was in development at Paramount Pictures, the responsibility of bringing John Carter of Mars to the big screen was temporarily handed to relative newcomer Kerry Conran. During his time on the film Conran put together a test reel to demonstrate how he would approach such an ambitious and potentially costly production. You can watch Conran’s original John Carter of Mars presentation video here below. 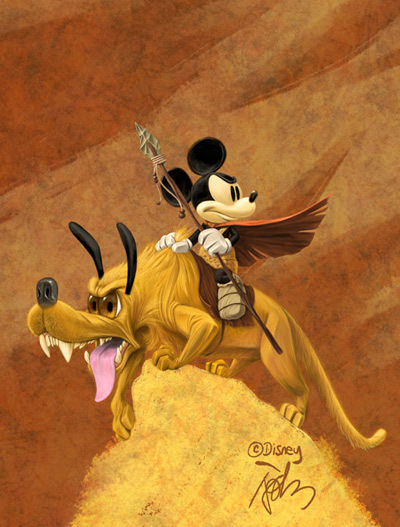 Artist John Quinn did a painting for a presentation for the people at Disney of Mickey Mouse and Pluto in a Frank Frazetta style and setting. A painting I did for this morning’s presentation to the biggest wigs we’ve got here in Disney. I wasn’t at the presentation but, my painting was and then George gave me candy so, it all worked out in the end. This was inspired Frank Frazetta and painted in Photoshop. Robert Rodriguez is a busy man. He started a new production company and is hard at work on scripts for Machete 2 and Sin City 2 along with a handful of other projects [Read SDCC 2011: Robert Rodriguez Going Ahead With ‘Sin City’, ‘Machete’ Sequels via Quick Draw]. At San Diego Comic-Con 2011 last week the filmmaker debuted a bevy of original Frank Frazetta paintings to celebrate the upcoming launch of a new museum curated by Rodriguez featuring the master of fantasy art’s works from Rodriguez’s personal collection. The museum will of course be located in Austin, Texas.